You can’t get students to question and learn intelligent disobedience if you, yourself, are not allowed to question. This is a quote from Volusia County high school English teacher and popular cartoonist, David Lee Finkle about his own experience at The Real Mr. Fitz. And it is disturbing. The room is full of students. And they are all silent. Absolutely silent. Waiting for the instructions they are about to receive. They don’t do anything until they are told to. They follow every instruction as it is given. Of course, the instructions are given by a teacher… me. I am reading a script. I read it verbatim, as instructed. Because my job and teaching certificate depend on it. The entire room is being controlled by a outside authorities, the state of Florida Department of Education and a testing company, authorities that are not physically in the room, but which controls everything that is going on there as surely as if they were the puppet masters and we the marionettes. How indoctrinated are we all into the cult of silent testing? I have had a student throw up – loudly – during a writing test, and everyone just kept working. During this year’s testing a student’s dog got hit by a car outside the media center where I was testing; much drama and blue police car lights. The kids kept right on testing. For all the talk that floats around that kids are disobedient, in certain circumstances, they are incredibly obedient. They have been conditioned from early in their schooling to be obedient during standardized testing. Ironically, they are less obedient in class, where (at least in my view) what is going on has actual value. Of course, I feel that what I’m doing in class has actual value mainly because, in many ways, I am being disobedient to what the System of school tells me I should be doing. I have been disobedient to edicts to follow scripted curriculum, to follow curriculum maps with “fidelity,” to not question “the test” in front of students, to use rubrics and data to track students’ progress, to make my teaching all about the test. I have always been a good, compliant kid, even as an adult. I was rewarded for my style of teaching as district Teacher of the Year, and this helped reinforce my “good kid” psyche. Do good things, get rewarded. Within three years after winning, though, I discovered that the very things I was awarded for were no longer valued by the teaching profession. So I had a choice to make that caused me levels of stress that nearly drove me out of the profession: obey, and give up everything that makes teaching worth doing, thus shortchanging yourself and your students, or disobey and teach according to your conscience. I chose the latter, but it wasn’t easy, even with the support of a great principal. Over the course of the past 12 years, I have grown a lot. I am much more comfortable being disobedient. I might have saved myself a lot of stress and depression, however, if I could have traveled to the future and gotten myself a copy of the book I recently read from the library, the 2015 book Intelligent Disobedienc by Ira Chaleff. But he makes a very strong case that, appearances to the contrary, we are conditioning our citizens to be obedient to a fault. He gives examples of companies where those in power ordered criminal acts and the employees followed. He recounts the harrowing story of a phone call to a McDonald’s by a man posing as a police officer that resulted in a restaurant employee being confined and abused for hours by her supervisor and others—because they were just doing what they were told. The victim said she had always been to told that when someone in authority says to do something, you do it, without question. Add to this the history of “I was just following orders” excuses given by the perpetrators of atrocities, and the incidents of adult child molesters using their authority as a adults to keep their victims in fearful, silent compliance, and the need for “intelligent disobedience” becomes even more pronounced. Note the title of the book is not Disobedience for Its Own Sake; it is Intelligent Disobedience. The phrase comes from the training of guide dogs, who must be trained to be intelligently disobedient lest they follow orders from their master that get them both killed. Chaleff gives examples of intelligent disobedience saving the day and transforming systems, including the Florida teacher who refused to give the FAIR test to her young elementary school students and ended up having the test removed as a requirement in those grade levels. He also critiques the realm of “classroom management” as being focused completely on absolute obedience and compliance to the teacher’s authority, of never, ever questioning what you are told to do. This can indeed go too far. I have often tried to point out to adults, and, more successfully, to students, that we are holding students to the very lowest level of Kohlberg’s Levels of Moral Development: I don’t want to get in trouble. Chaleff makes the case that intelligent disobedience must be taught in schools. Not being part of the school system himself, though, I don’t think he realizes two things. One, that questioning things should be at the very heart of the educational mission, and two, that teachers can’t give away what they don’t have, and they are being told being told to not question orders, to do what they are told, to not speak up. You can’t get students to question and learn intelligent disobedience if you, yourself, are not allowed to question. Late into the “SpringBoard years,” as Common Core was being introduced, I sat at a Department Contacts meeting full of the lead Language Arts teachers at various schools, and when some of the teachers saw what the standards were demanding of students, some of these teacher leaders actually said, “How can we teach these standards if they are not in SpringBoard?” My goal here is not to debate the standards, but to note that obedience to the system was producing teacher leaders incapable of thinking about and making decisions about curriculum on their own. Lots of people talk about the need to teach “critical thinking skills” (whatever they are), but we have set up a system where absolute obedience for teachers reinforces absolute obedience for students. Critical thinking involves questioning, and questioning can involve intelligent disobedience.Chaleff laments the fact that intelligent disobedience is not being taught in schools and needs to be. As I finished the book and was talking to my wife – also an English teacher – about it, I had an epiphany. We English teachers are teaching intelligent disobedience – by teaching fiction. It makes me wonder if one of the main functions of fiction is, in fact, to teach intelligent disobedience. Think about how many novels are about characters standing up to authority. I am currently teaching The Giver to one class and Fahrenheit 451 to another (though Guy Montag isn’t always intelligent about the how of his disobedience, his why is right on the money). I just went to see Captain America: Civil War yesterday. Intelligent disobedience again. Story after story, from Antigone to Star Wars to Harry Potter, is about the tension between authority and freedom, about characters being intelligently disobedient. As I write this, I have just taken her thought a step further. When fiction is taught we are taught to “close-read” with students for literal meanings and “non-trivial” inferences. The standards do not encourage teachers or their students to connect fiction to their lives. That might encourage us all to emulate the intelligently disobedient characters we find there. Every so often you read a book that seems to know you, to explain you to yourself, that helps you make sense of things in a new way.Intelligent Disobedience is one of those books for me. I highly recommend it. After I return it to the library I’m going to need to buy my own copy. David created this special Mr. Fitz cartoon for “Teacher: The Giant Awakens” for The Opt Out Florida Network a few weeks ago. David Lee Finkle is a Volusia County teacher and a cartoonist for the Daytona Beach News-Journal. He was Volusia County’s Teacher of the Year in 2005. He is a vocal critic of high stakes testing and his cartoons have been featured in the Washington Post’s Answer Sheet. One of his most important posts, “A teacher gets depressed: a real story in comics” describes how market-based education reforms have affected teachers and the teaching profession. Parents and true educators need to be strong. We must open the curtains, that the bullies are hiding behind, and expose them. We must not be afraid to defend our next generation. There is no excuse, or acceptable reason, not to do so. Classroom teachers tell so many REAL stories of testing abuse. The harm is also attached to the adult, who struggles internally, but feels powerless, to effect change for the student he/she loves. Parents across the nation are also sharing their horror stories of maddening intimidation tactics when they stand up and demand a true and ethical public education, free from corporate strings. The truth about bullies, whether on the playground, or in the corporate conference room, or inside our public schools, is that the bullying gets worse before it stops. Education reform bullies and those in powerful positions ‘enforcing’ horrendous laws are desperate to stop parents and educators from knowing the truth. Well… No longer are we asleep. Remember… We are many, they are few. “Waking the Sleeping Giant” – Cartoon of “Mr.Fitz” by David Lee Finkle shared with permission. We are honored and grateful that David created this cartoon of Mr. Fitz for this specific post. On Monday, April 11, the Florida Education Association, representing 140,000 of Florida’s public school teachers, updated their website to include The Opt Out Florida Network as a source of information about opting out and the opt out movement for teachers. Since the inception of the opt out movement, in Florida and across the country, teachers have sought guidance for where to find reliable and credible information about opting out of high stakes tests. What if parents ask me about opting out? What are teachers allowed to say? What is the difference between informing and advocating? What am I allowed to say and do on my own time? Is my district’s information accurate? If my student opts out as The Opt Out Florida Network recommends, does it actually affect my evaluation? These questions are routinely discussed throughout The Opt Out Florida Network. There is good reason why teachers are “warned” by districts to stay away from the opt out groups. We provide SOLID, verifiable information, that many districts would prefer for you NOT to know. The majority of our “information” comes from documented and verifiable public information, accessible to anyone – if you know where to look, and what you’re looking for. Teachers’ unions have asserted that teachers have the right of protected speech, but have also cautioned that such speech is not without limits. Many, but not all parents are aware that teachers’ speech, while protected, is limited, EVEN in cases where conscience dictates that teachers SHOULD speak out. Many teachers have said in group discussions that compliance with their contracts puts them at odds with their professional code of ethics. Where teachers may not be free to speak, the union IS. We, parents, have therefore, called for teachers unions to speak out on behalf of their members. Some teachers associations in other states, such as New York, Massachussetts, Chicago, and Houston, have been vocal in their support of students opting out. If teachers have not been as vocal as many parents would like, there may be good reason. 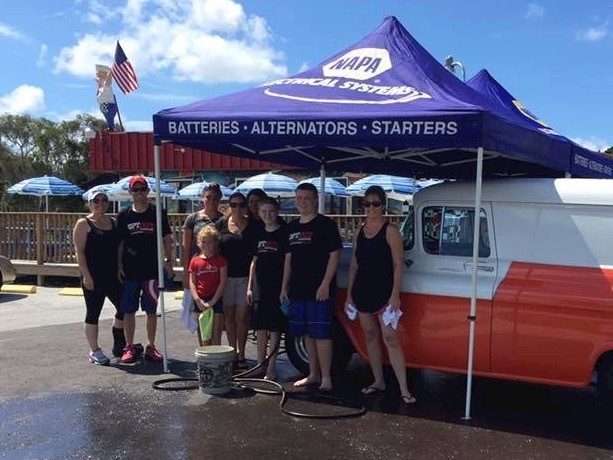 In states like Florida, “right to work” has nothing to do with a teacher’s right to work. What it really means is that teachers have the right to work without being obliged to join their union, which weakens the union, putting teachers at a disadvantage in bargaining, and makes the protection of a teacher’s right to due process more challenging. We have been VERY clear that because of Florida’s right to work laws, and IN ADDITION to the twisted approach of the Florida Department of Education (FDOE) to openly, and actively, bully and threaten teachers regarding their licensure and livelihood, teachers must be extremely “selective” with their words. With regard to the opt out movement, a teacher’s words, when investigated, may only inform – not encourage or advocate for students to opt out. It is semantic, but crucial. The threat is real for certified educators working both in and out of the classroom. No one has the right to insist that a teacher speak out knowing the likelihood that the teacher will be charged, investigated, and sanctioned; unless that person is also going to help provide for that teacher’s family. It is IMPERATIVE that parents AND teachers understand what this means in the big picture. Singularly, we struggle against the testing plague that has had such a disastrous effect on our students, schools and members. Who knows this struggle better than the FEA and our members? Opt Out is the grassroots component that can not only help change these educational policies in Tallahassee, but also the elected officials that make these policies come election time. I think this is a valuable opportunity for us, the FEA . . .Mainly by disseminating information regarding options when it comes to testing. The Opt Out movement is the force multiplier that will break the testing machine. Thus, I am giving them my support. This is the stock response from the DOE for ALL questions about testing, participation, scoring or opting out since March 28, when FSA Reading began. We believe that the odds are excellent that the FDOE will TRY to change the rules for the NR2 score codes. There will be stronger language, possibly even through the legislature in this next session, to go beyond making “participation” mandatory, to try to force completion of the tests. Since children cannot be compelled to do anything, they will do their best to make it compulsory via consequences for non-completion. Pam Stewart seemed to insist that she does not, in fact, use the FSA to punish students (see video here). However, she also states publicly and repeatedly that she WILL get the data from even the most severely disabled children – from Ethan Rediske on his death bed; from Michael with only a brain stem; from Maddie Drew, non-verbal with Cerebral Palsy; and she will deny a boy with Autism his service dog, required by his IEP for testing. We are, therefore, assured that Pam Stewart’s dogmatic obsession with securing test data will extend to targeting, policing and punishing teachers who are seen to support the opt out movement in any way. To imagine that the clouds will part and the education power brokers in Tallahassee will have an epiphany about authentic and meaningful assessments without parents and teachers locking arms in a massive revolt, is to have a wild fantasy beyond even Walt Disney’s imagination. Parents are strongly encouraged to share this news with ALL teachers. Teachers are strongly encouraged to inform parents of their rights. If you are unable to see this document well, please open it here. “FEA has previously cautioned its members about using their classroom time, positions or school district resources or equipment to encourage students or parents to “opt out” of high-stakes testing. The cautionary note has been sounded to minimize the likelihood that education professionals will be subjected to discipline for taking such actions while performing their jobs. While educators retain their right to free speech, school districts also have the right to assure that employees do not utilize their classrooms and official positions for such advocacy or conduct activities in a manner which impairs efficiency and integrity in the discharge of official duties. The exercise of protected speech is not without bounds. 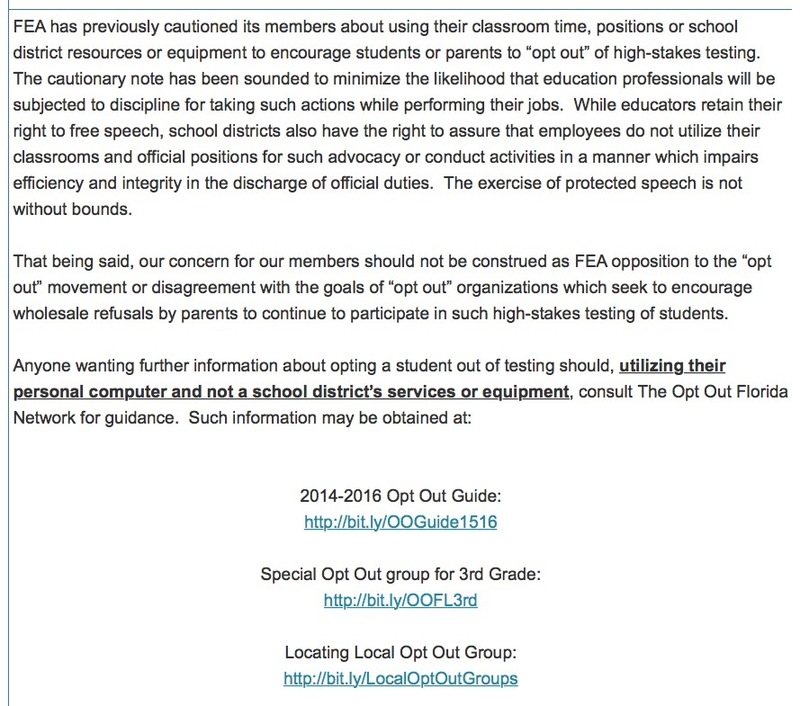 That being said, our concern for our members should not be construed as FEA opposition to the “opt out” movement or disagreement with the goals of “opt out” organizations, which seek to encourage wholesale refusals by parents to continue to participate in such high-stakes testing of students. 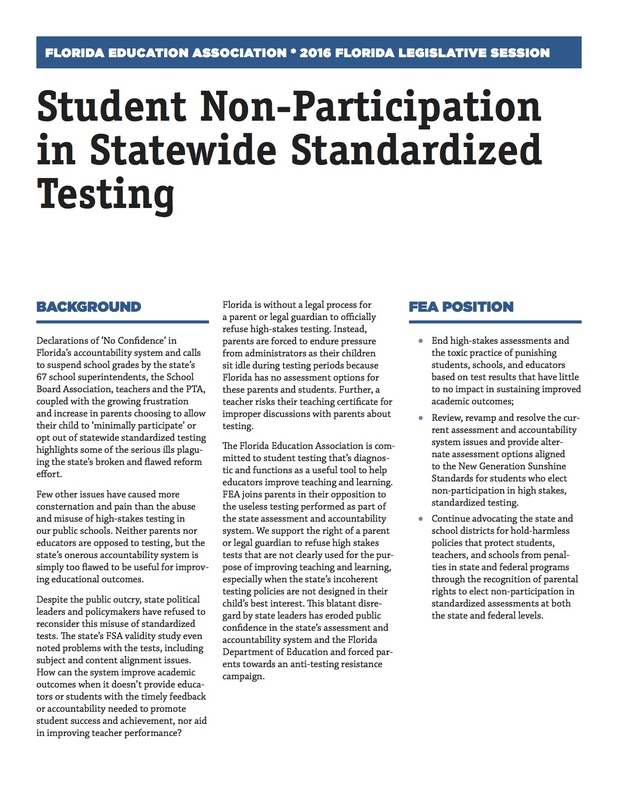 It is significant that the Florida Education Association has clarified its position on high stakes testing and has now provided the resources and guidance to help inform teachers how opting out affects them and their students. We fervently hope that parents and teachers alike will take this opportunity to learn more about the opt out movement and make their own fully informed decisions about how they choose to fight for public education. The response this week has been a surge in the growth of the opt out movement across the state, and best of all, a continual increase in the numbers of opt outs. The simple act of becoming informed will continue to empower more parents and teachers and will grow the opt out movement, increasing our leverage in Tallahassee. “OPT OUT” is not going down easy in Tallahassee and THAT tells us that we are making real progress. FACT: OPT OUT has been the ONLY action to hold the attention of education policy makers and legislators. Within the opt out movement, teachers frequently share their personal and professional opinions on testing, the testing culture and the opt out movement. Many teachers are parents who choose to opt their own children out of the state’s “mandatory” tests. While many are new to opt out, some have been opting out for years. Teachers have admitted that sometimes, in order to comply with their employment contracts, they may even be in violation of their Professional Code of Ethics. Teacher morale is at an all-time low in Florida. A quick internet search “Florida teacher shortage” yielded numerous articles – see here, here, here, and here. choose to inform parents about the growing culture of high anxiety in schools as a result of high stakes testing. “Testing Season is upon us once again. What does this mean? It means that students in grades 3 and up will be subjected to hours and hours of testing that will not give their teacher or parents any meaningful feedback. Results will come in after the students have completed the year. Teachers and parents are not allowed to view the questions. In my county, we have not even completed the third grading period. Yet, these tests will have questions on the full year’s worth of standards. In addition, to prepare for test taking, the students have spent many days learning strategies to help them have success on the tests. Hours and hours of instructional time is lost. The focus is no longer on learning. It is on doing well on the tests. Teachers have expressed their concerns. Parents, too, have spoken to legislators and written letters voicing their dissatisfaction with the emphasis on testing. All 67 superintendents have gone on record as having lost confidence in Florida’s accountability system. Yet, legislators and the Florida Department of Education have dismissed these concerns. There is no other recourse than to refuse to allow our children to be used as pawns by those who have a vested (financial) interest to keep the Testing Machine going. Opting Out is a form of Civil Disobedience. If enough children do not take the tests, the accountability system as it now stands will collapse. Perhaps at that point, the decision makers in Tallahassee will begin to listen. I teach ELA grade 8 and both of my sons opted out last year (when they were BOTH students at the school, where I teach) and will opt out again this year (one is still with me, the other is in high school.) I wish parents understood how truly useless these tests are in the big picture. – I wish parents could sit in the room with me during the tests and see how stressed out some of the kids become. – I wish parents could see the abusive ‘sit and stare’ of the kids when they are done testing. – I wish more parents understood that denying that data would FORCE the fools (most of whom have ZERO classroom experience) in Tallahassee to rethink their agenda that is motivated by $$$$ and NOT by what is best for our precious children. “Parents – I want you to know how much pressure the tests and data are placing on our public schools. 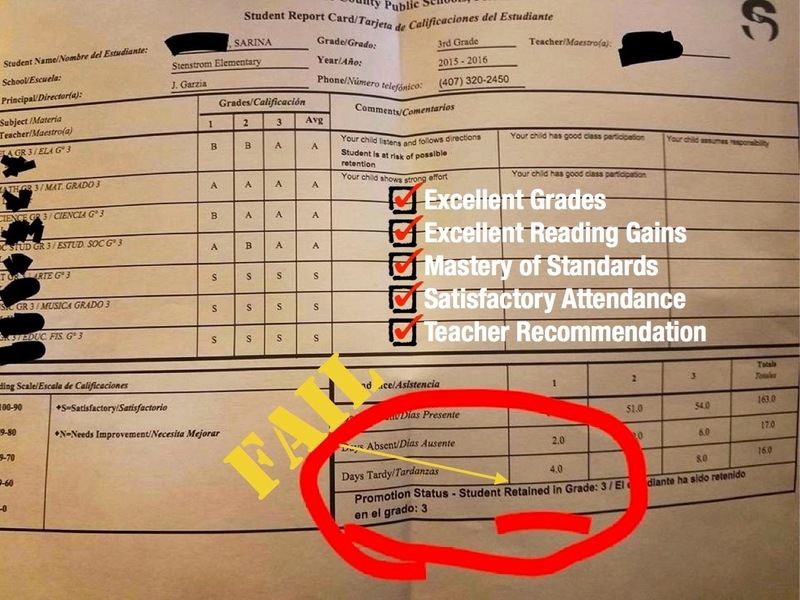 The district administrators are regularly using test data to pressure the school administrators, who are in turn using said data to terrorize the teachers. The result is low teacher morale and high faculty turnover (There are 161 teacher vacancies in one county alone). There is so much testing and scrutiny over such testing that stress and anxiety have robbed schools of any joy of learning, for both teachers and students. I’d like parents to know the statutory alternatives for 3rd and 10th grade FSA (school work and ACT score), and I’d like for parents to know that the FSA has absolutely no positive impact on their student. And yes, my own children are ‘minimally participating’ (I used these words to end the threats from the school). I’m a media specialist with OCPS and have taught for 25 years. In those years I have experienced the degeneration of school library media programs in Florida which has accelerated with the advent of Race to the Top. With “testing season” upon us, I will be closed to book checkout, research, information literacy lessons, enrichment activities, etc. and will become a test administrator for weeks at a time. School-wide, instruction comes to a halt. Students are regrouped into “testing groups” and very quietly marched in and out of the library and computer labs for long sessions of testing. Even the most behaviorally challenging students know the drill and march to the testing orders. It’s scary how compliant they are. If nothing else, we have taught our children how to take a test – not pass a test, because we already know a high percentage will fail thanks to the arbitrarily set cut scores – but they have been taught since 2nd grade, and now Kindergarten, how to behave during a test. Is this our educational legacy? The most distressing aspect of becoming a robotic, script-reading test administrator in a high poverty school is seeing the resignation to failure on the faces of many of our students. They know they’re going to “fail”; they fail every year. The year we switched from FCAT to FSA (Common Core), I told my students, “Congratulations, you’ll never have to take another FCAT test again.” They cheered. Then I told them the bad news: that the new tests will be longer and harder and all on the computer. One girl asked, “Why are they going to make us take a harder test when we can’t pass this one?” A good question and one I could not answer. This year, during the FSA Writing Assessment, a student raised her hand and asked, “What are they asking me?” I told her I couldn’t help her with that. I suggested she go back and reread the prompt. She raised her hand again, “How am I supposed to answer when I don’t know what they’re asking.” I encouraged her to try. At that point, she huffed, turned off her monitor and put her head down. She was a very low level reader and the article that the prompt was based on was too hard for her. She knew it, I knew it, her reading teacher knew it, so how does this test help her in any way? She didn’t realize it, but she had opted-out. What are we doing to a generation of students that are repeatedly being told they’re failures? How do these tests inform the people who can actually help them with their academic or emotional needs? (And the emotional needs are many and must be met before meaningful academic progress can be made. No standardized test can address this.) They don’t inform, they label. Parents and teachers know from working with their children on a daily basis the needs of the child, so who benefits from all this data from these tests? “I was a high school English teacher for four years and then a literacy coach (reading coach) for six years. I resigned this August, because I could no longer lie to parents and students telling them that they were required to take the reading exam and subsequently the reading class. Especially when I knew that we did not have programs that would actively help students with language processing issues. As a parent and literacy coach I do not want my child to take the FSA. Primarily because the assessment is discriminatory and has significant consequences attached. My daughter has dyslexia, along with 20% of the world’s population, and throughout the year she is provided accommodations through the use of assistive technology. When she uses these accommodations, in class, every day she is academically independent and successful. However, she isn’t allowed to use her assistive technology when taking the FSA. Therefore she is severely limited, and as such, can not succeed. I liken it to asking a visually impaired student to take this reading test but not allowing them to use their glasses. The consequence for her failing these assessments is placement in a remedial class. As a literacy coach, I know the curriculum for these classes intimately. These classes won’t help her. Additionally, placement in these classes keeps her from opportunities to explore her gifts through electives. Students who are college bound should learn skills that prepare them, but students who are non-traditional college bound need to be prepared with alternative options as well. And, in this, we are failing greatly. One test on one day does not accurately assess the skills acquired throughout the year, nor does this rigid assessment tool address different learning styles. “We are guilty of stressing our students out. Let me share why with the parents. As a teacher, we go to weekly data meetings, after the benchmark tests. The data from your class is displayed on the wall or a computer screen. They ask you why the first time the class took the skill test, the overall class score was 28% and now it’s only 48%. Then you are asked to explain on the spot in front of your colleagues. Should you bring up the turnover rate, poverty level or parent involvement level? You walk out feeling devalued like a salesperson at IBM who didn’t meet their sales goals. You are shown which of your students are on the cusp and need you to just work a little harder to make their learning gains. You ask about the other students and a hush falls over the room. “I am no longer teaching, however, during my teaching days, I was unaware that parents HAD the option to opt out! Most of my experience has been with primary grade students, PreK-2, in Orange County as a classroom teacher and then reading coach. (I was required to proctor the FCAT at my last school, which was asinine in and of itself. Why didn’t I just say no?!?) The majority of students that I learned from were under resourced learners from low socioeconomic backgrounds. Then, even though the climate was beginning to change, we felt like we were protected and that we were in a space where we could do what was right for kids and families: collaboration, guided reading, art integration, family outreach, GRE classes… Unfortunately, OCPS decided that we needed some form of standard data, so our second graders were subjected to the SAT-10, although there was (and still is none that I am aware of) no state mandate that says that K-2 students must take any form of standardized testing. As you can probably guess, the experience was heart-wrenching. I watched students who had surpassed reading goals crumble to tears. After spending the year working hard to help the children understand that their thinking, their gifts and even their struggles did matter and were important, I watched their spirits crushed after testing. On top of that, it was unnecessary- we had other data that could have been used instead. That was 6 years ago–now it is much worse than anyone could have possibly imagined. I wish that parents knew how many unnecessary tests their children are asked to take and how much power they have to advocate for their kids. I would have LOVED for parents to say no to this kind of crap and save school for authentic learning. We now have two children enrolled in SCPS. Interestingly, it came up in a conversation that I was having with a friend that she did not know that her family could have opted out of the IOWA and/or opted out/denied data via CTAs–not just FSA. So, it comes down to knowledge and parents having access to information. The Opt Out Florida Network has been a game changer for many of us, including myself. If I had not had the resources and support provided here, as a parent, I would still be in the dark about many, many things and would not have been able to tell my friend that, yes, there are more tests that her children do not have to take! We who have access to Facebook, other social media and community events are very fortunate. The question for me is, though, how do we help parents in under resourced communities take charge of their students’ educational experience so that they, too, can know their rights? These are typically the children who are most harmed (see longitudinal FCAT data) and whose parents need the information the most, but can’t get to it, for many different reasons. “It’s just their stupid rule. Every student must “test.” So you can either keep your child home during testing and have them opt out during make ups or opt out during testing week/days. Regardless, the student is minimally participating by breaking the seal or submitting an unanswered computerized test. 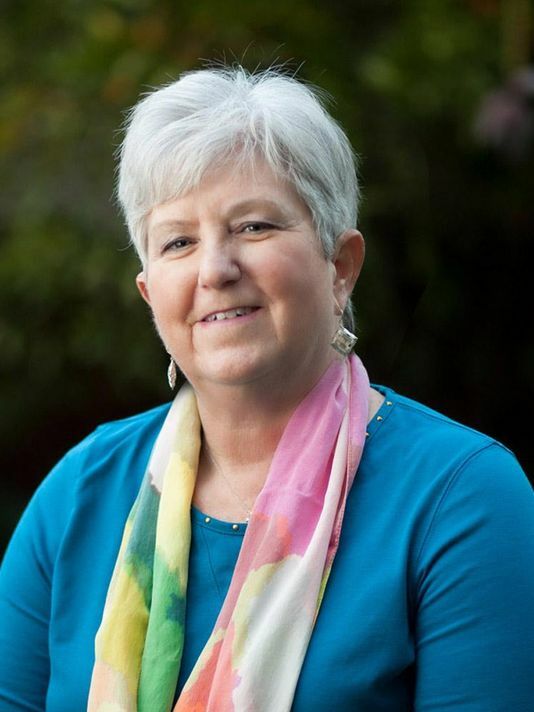 “As a teacher, I think the fact that they make us sign gag orders and oaths that we will not look at the test content while administering it says all parents need to know about whether the test makers have any sort of confidence in their actual validity, and speaks to the real purpose of the test, which isn’t about teachers gaining usable information to drive their instruction, no matter how much propaganda statements say about it. “I don’t have any kids of my own, but if I did, I would not allow my kid to take these “state required” exams. Parents, I wish you wouldn’t either. Kids are sick of the formative assessments that our school bought into. They take a pretest and a monthly test and then a post test – all computer-based, computer-driven. They do progress monitoring throughout the year. I have a feeling they’ve introduced this, because of the opt-out movement. They know there’s a groundswell of parents opting their kids out and they’re going to lose if they don’t stay ahead of the curve. So now it’s monthly testing. To date, teachers are not held accountable based on the computer based test, at least not yet. My crystal ball is telling me though that’s coming soon to our local neighborhood schools. The district will be able to evaluate teachers using that test instead of a state exam. Time will tell. What I would like parents to understand is they have the power to stop this testing culture and the high stakes nonsense attached to our current testing culture. I want them to know the game is rigged for student failure and is NOT a way to determine skill mastery. I had to administer both third and fourth grade tests last year and I could tell the fourth grade test was easier than the third grade test and because I had to read the test verbatim for IEP accommodations. I learned the questions are unclear and convoluted and certainly not in a normal question structure. I also want them to remind their kids that they don’t have to sign the pledge not to talk about the test and since they are all minors it’s not valid anyway and that they (parents) WANT to hear about the test and then listen to what the kids tell them. I teach third grade ELA. I wish more/all parents would opt out. When a parent mentions opting out I wish I could say what I really want, which is to support them. I wish that the parents who opt out and whose kids have good grades would DEMAND that the district follow the state rules and use report cards to show their child isn’t deficient in reading instead of a portfolio. I wish parents would understand that I HAVE to do what “they” say because I need my career. I think the test asks questions that are too deep for third grade students. I’ve seen students in tears time and time again and I HATE it. It’s wrong! I wish parents would realize teachers aren’t the problem. We’ve been told the rules time and time again and we are afraid. We truly believe all the bad things they say, until we learn more. This isn’t my real name though. I’m afraid to use my real name for fear I’ll get fired. “So I have read all the mixed opinions on the test, I have read how it affects our children, how it may or may not be valid, how it’s biased toward some learners. Whether you agree with the movement or how it affects your child, the one thing we should all agree on is the idea of using one test to measure growth that has the ability to hold children back, reduce teacher pay, and affect the ability to be awarded a diploma is a test with too much power. Tests are developed for specific reasons and when we use those tests for other reasons we diminish the validity. My child would do wonderfully on the FSA, but because I am against the myriad of reasons with which the test is being used, he is opting out. Schools have used norm referenced tests at least since I was in elementary school in the 1970’s, but never did they cause this much stress. A norm-referenced test like the FSA measures growth against the “norm” based on cut scores. It is shallow and does show individual student proficiency against the standard, for that we need to use a criterion-referenced test, otherwise known as report cards or teacher created tests. One test, given the last month of school to be used to show what resources the school needs and how we can help the diversity of students is all we really need. Individual growth can be measured using criterion based assessments and students will be measured continually by the teacher through daily work and learning gains. “…standardized tests are not like the weather, something to which we must resign ourselves. . . . They are not a force of nature, but a force of politics- and political decisions can be questioned, challenged, and ultimately reversed. We are told by industry that there is a national crisis in STEM education. What many STEM proponents have no idea about is that children in public schools increasingly have less and less access to authentic, project-based, hands on science education. There is no time. Test scores are the priority, so test prep takes precedence over all else. Make no mistake about why this is the case. Funding depends on it. Orange County Public Schools, years ago, defunded science fair in schools. It is now supported by a private philanthropist, without whom, Orange County children would have no access to science fair, whatsoever. Children in more affluent zip codes attend schools where parents may support science fair as extracurricular activities. Fewer than 15 middle and high schools in Orange County typically participate in the Nelson Ying Orange County Science Expo; of those, many are private schools. In OCPS, if science teachers are so inclined, and committed enough, they may run science fair in their schools as after school clubs, and most must do so on a volunteer basis. Athletic coaches receive stipends. District priorities are clear. 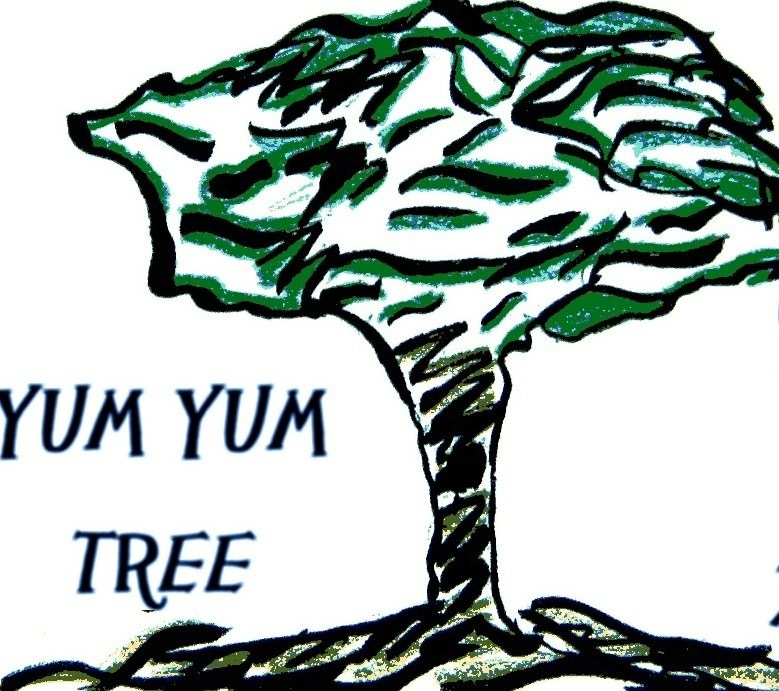 This is an important piece originally posted on Education Alchemy – 11/22/14. Thank you, Dr. Gordon, for stating what has been on my mind for years. It is especially chilling that teachers continue to confirm that this is happening across the country.